Prizes of $3000 each will be awarded to high achieving second and third year undergraduates to enable them to spend time during Trimester 3 working in a priority research group within the Faculty. Please note that any student who finishes their degree at the end of T2, 2015 must complete their experience in the priority research group by 31/12/15 as the student will not be covered by insurance beyond this date. Nominations should be sent via the Associate Heads of School Research and applications must include, Name / School / Title of project / Supervisor / WAM – and a brief description of the project. The whole should be no more than one page. 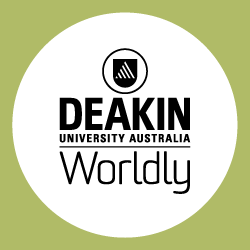 Applicants must be enrolled at Deakin and these prizes are not transferrable. There will be no formal assessment of the projects, though successful applicants should be prepared to give a short presentation to their own lab group and provide a written report on the research undertaken. Nominations are now open and applications should initially be sent to the Associate Heads of School by Friday 9th October and then submitted to Teresa Treffry for consideration by the Associate Dean (Research) by Friday 16th October. Successful applicants will be notified shortly thereafter.